A new wave of summer festivals: Enjoy dancing, playing music, displaying art objects, eating delicious food, and taking medical exam! You know, I’m such a procrastinator…Today is the last day of this month! Yet, I haven’t written anything on this blog page in August! Didn’t I have anything to write here? Hell no! Actually, I’ve had my ups and downs this month. When I realized, however, what was happening, almost a month had already passed…I’m going to write about two summer festivals here today. 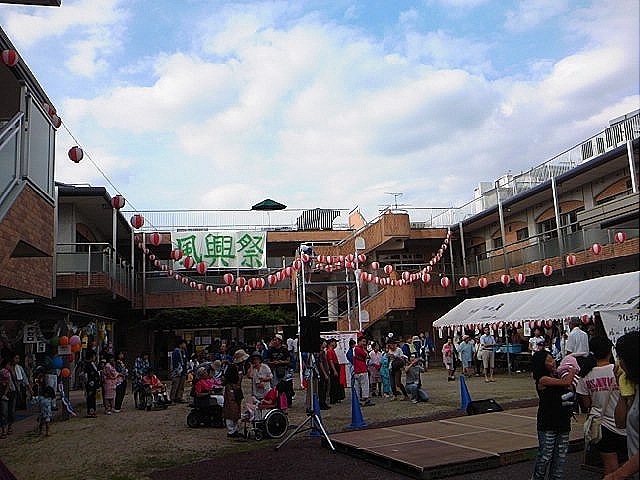 Japan’s summer festivals used to be held in each community, and residents enjoyed dancing and eating or shopping at many stalls. But recently summer festivals have changed their styles. 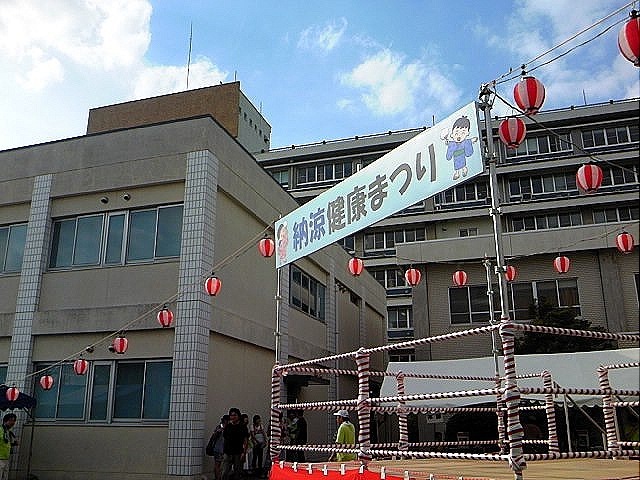 For example, the festival in my area used to be a traditional one called bon-dance festival, and people in yukata danced on a kind of tower or around it, but we stopped having such type of festivals several years ago. We have a festival in which people perform many things freely, such as costume playing, playing music by jazz bands, dancing by some teams and etc, instead of only bon-dancing. We have changed the festival style because it has become difficult to build the tower by the local residents as the population is aging, and lifestyles and the population composition have diversified. The two festivals I’m introducing here are not usual residents ‘ones. One was held at a hospital and another one at a facility for the mentally handicapped people in my neighborhood. Both festivals are for patients and users mainly, but are also opened to neighborhood inhabitants. The main event of the festival at the hospital was medical-checkup! I’ve never heard of any festival in which you can have a physical exam. 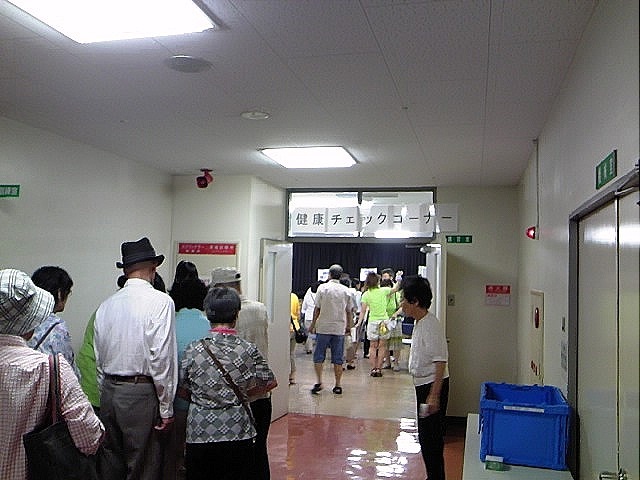 The room for the health checking was crowded and many people were lining up in the corridor, when I came there. I was going for a check, but I gave up because most of the people were senior citizens. You know, I should give them room. 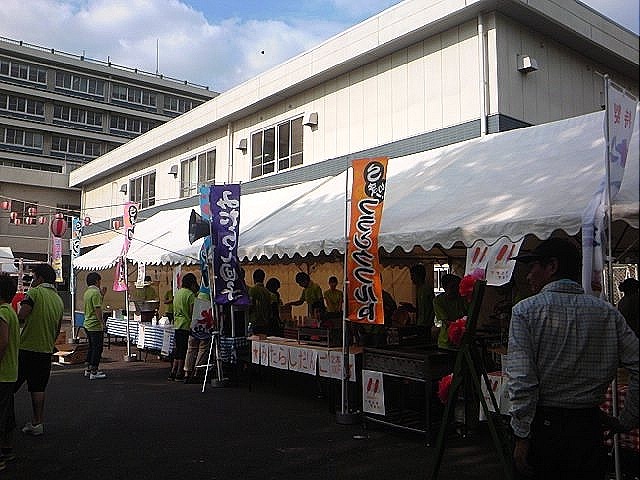 It was ironic that stalls at the festival were selling junk foods…But I thought the festival was interesting. Actually, another festival was held at the same time and day nearby. 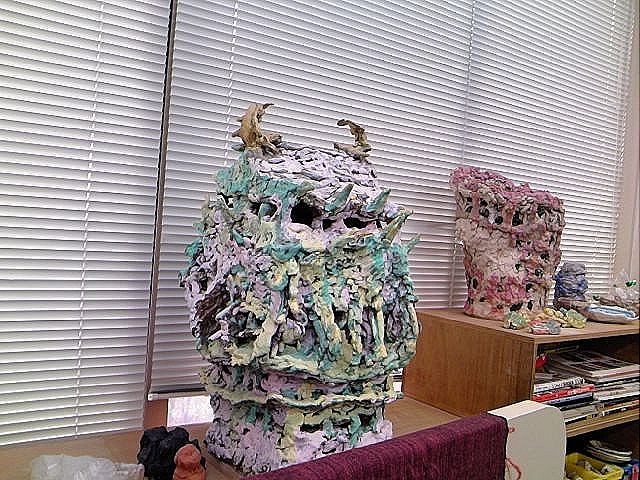 It was at a facility for the intellectually disabled people. Look at the poster. How cute! The panda-looking object is saying, “Come to see me!” Of course, I came to see him (her?). Wow! 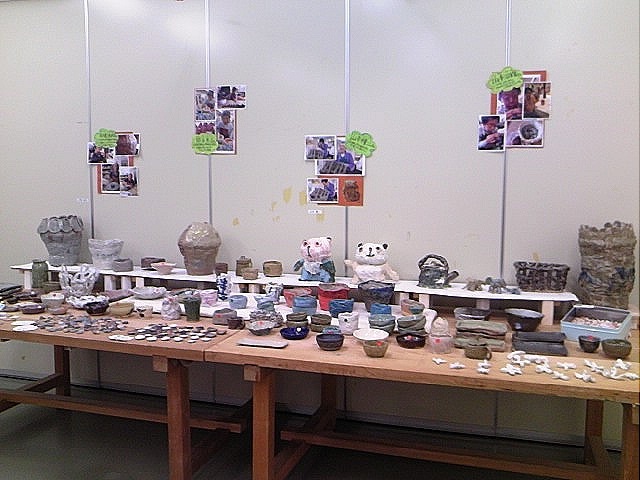 There were many ceramics in the room! And how dynamic and artistic they are! Look at this photo. I think it’s Nagoya Castle. How gorgeous! As you see, summer festivals in my area have become kind of cultural ones. 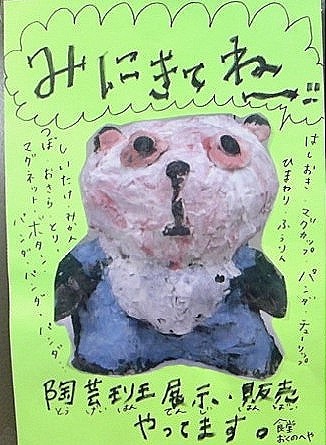 I miss Japan’s traditional ones, but I like new wave festivals as well. It’s wonderful that there are opportunities for many people to join in and enjoy and to communicate with others.